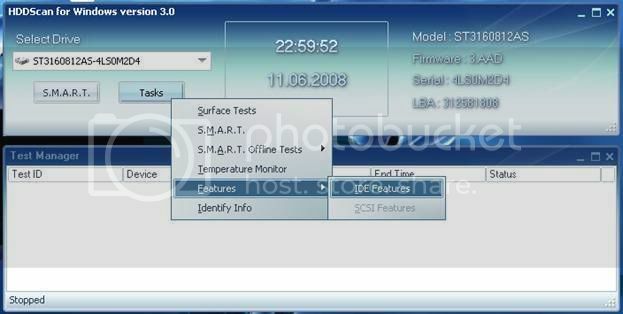 HDD Scan is a freeware which scans storage devices for Bad-blocks, shows S.M.A.R.T. attributes and changes some HDD parameters such as AAM (Automatic Acoustic Management), APM (Advanced Power Management), PM (Power Management), etc. In short it provides the user with various information regarding hard disks in the computer and provides the user with options to change certain settings of those hard disks. Apart from the above, the user can also run various kinds of tests using this program. Tests are divided into two main types- surface tests for all hard disks and special SMART tests for hard disks that support SMART. Users can choose between four kinds of surface tests- Read, Verify, Butterfly Read and Erase, only one test can be selected to run simultaneously. 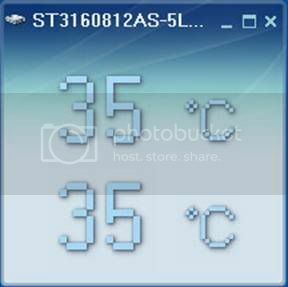 Two things that interested me are the HDD temperature reading and the ability to reduce hard disk sound. Reducing the sound is definitely worth a try but you’ll have to sacrifice a bit in terms of performance. The software is supported currently on Windows 2000, Windows XP and Windows 2003 Server. Vista compatibility isn’t mentioned though.